I was so lucky to be given the chance to try & review #forfree @VichyCanada & @Chickadvisor . This NEW and REMARKABLE @Vichy( Neovadiol Magistral ) Skincare is made for the women who have gone through #Menopause and beyond. It is a really beautiful but it also Works. Here are my final reviews. @Chickadvisor. I was picked with 3,000 other lucky women @Chickadvisor to try and write #ForFree a review @VichyCanada NEW Skincare. I was given 3 products to use faithfully in 3 steps as a part of my skincare routine. This skincare made @VichyCanada is made specifically for my age group. Women who are over 50 and have already gone through menopause. I have been using, testing and reviewing several different brands of skincare over the past few years which mostly all work well. But I really am so impressed with #Vichy (Pureté Thermale One Step 3-in-1 Milk Cleanser) because it was formulated with me in mind. Not only does it work. It also is a 3in1 facial cleanser. So it helps you not to have to buy more products.1.It is a cleansing milk 2.Toner and 3.It removes all traces of my eye makeup. So it really saves you many steps and money. Vichy (Pureté Thermale One Step 3-in-1 Milk Cleanser) is also so gentle and it is allergy tested so it can be used on the most sensitive skin. I had no irritation, redness or breakouts. I really liked the fact that you do not need to rinse. I just applied with a cotton pad and it quickly and thoroughly removed all dirt and makeup from my day. When I removed my eye make-up there was no burning, redness and stinging. It really did a very nice job leaving my skin so clean and without a greasy or oily finish or feeling. I noticed my skin felt very soft, so clean and it also seems to moisturize while I was using this cleanser. It left my skin ready for the next step. I really recommend to women my age to try this new and revolutionary @Vichy (Pureté Thermale One Step 3-in-1 Milk Cleanser) it really is so nice to finally have a skincare line that takes consideration and time with products that are made with different age groups in mind. I really am so satisfied and happy with @Vichy (Pureté Thermale One Step 3-in-1 Milk Cleanser). I would definitely buy it again and tell all my friends my age about this #Vichy NEW Skincare Line. Thanks so much @VichyCanada & @Chickadvisor for letting me be a part of the #Vichy (Skincare Super Panel). 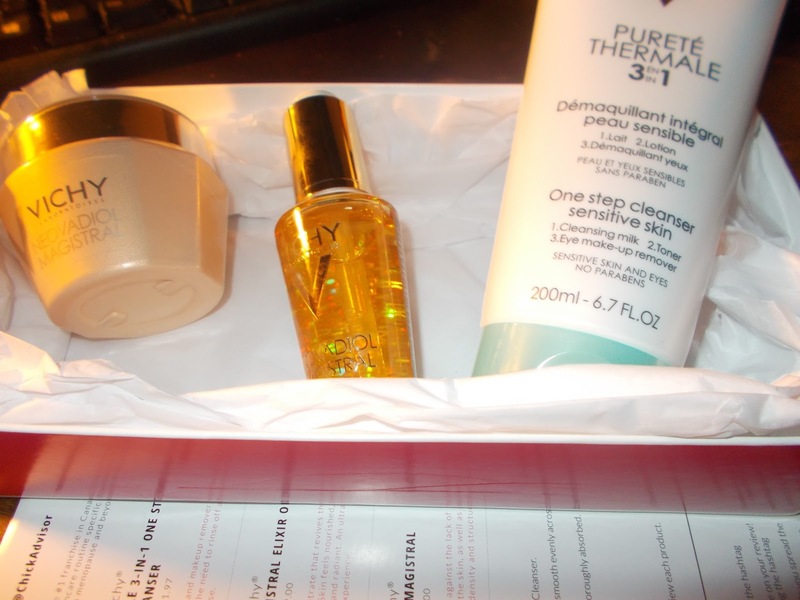 This is my second review for the @Vichy Skincare Super Panel @Chickadvisor. I am totally loving this #Vichy (Neovadiol Magistral Elixir Oil) It is so different from other skincare oils I have tried. I love the way @Vichy has made it so easy to measure the exact amount of oil I need for my face and neck area. So this bottle will go a long way. It is such a beautifully designed bottle. It also has a very pleasant light scent. @Vichy (Neovadiol Magistral Elixir Oil) is formulated and designed for women who are in my age group and past menopause. It helps with Anti-Aging, loss skin density and dryness after and due to menopause. It contains contains specific nourishing oils !0% Omega 3-6-9 and other all natural ingredients that really do help you to fight the signs of aging. It is also #Hypoallergenic so it is great for all skin types and the most sensitive skin. I have been faithfully using this product everyday and at night and I am so pleased with my results. I really seen amazing changes to my skin over the last couple weeks. My skin seemed more brighter in appearance, felt so much softer, firmer and replenished. 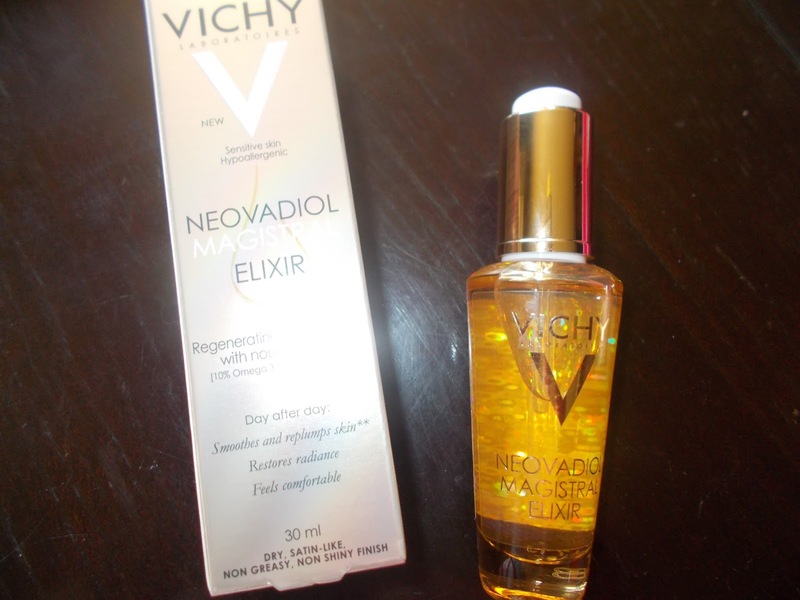 This #Vichy (Neovadiol Magistral Elixir Oil) absorbed so quickly not leaving a greasy or oily feel to my skin. I really love this NEW @VichyNeovadiolSkincare. #Vichy (Neovadiol Magistral Elixir Oil) and for making this skincare for maturer women who also want to feel and look their best. I highly endorse this product for women who have gone through menopause I promise you will see remarkable changes right away in your skin. You Will Love The Results !!! @Vichy( Neovadiol Magistral Densifying Nourishing Balm) is the last and final step to having beautiful and ageless skin. Again this is a skincare balm that is formulated with mature women who have gone through menopause. It really is different than any other skincare because it is made for women in my age category. @Vichy( Neovadiol Magistral Densifying Nourishing Balm)is a very attractive, generous size jar, lovely shade of gold and it contains the finest of ingredients of oils such as safflower seed oil, rice bran oil and shea butter to help bring back a more youthful, firmer, smoother and glowing appearance. It also helps to repair lines, wrinkles, dry skin and sun damage. This skincare balm is also hypoallergenic so it can be used by women with very sensitive skin. This It really did leave my skin so soft and radiant. It has a very light scent, absorbs very quickly and does not leave a oily film. It is perfect to where to bed or under my makeup. You will see positive results in the first application. My skin just seemed to look better the more I used this New @VichyCanda (Neovadiol Magistral Densifying Nourishing Balm). I really am very happy and satisfied with my results after using @Vichy( Neovadiol Magistral Densifying Nourishing Balm) for just a few weeks and you will also be surprised and very pleased with your results. Thanks so much @VichyCanada & @Chickadvisor for letting me be a part of Vichy Super Panel and giving me the @VichyNeovadiolMagistral Skincare Collection #ForFree it has been such a pleasure to actually try a #VichySkincare that has the maturer women in mind. 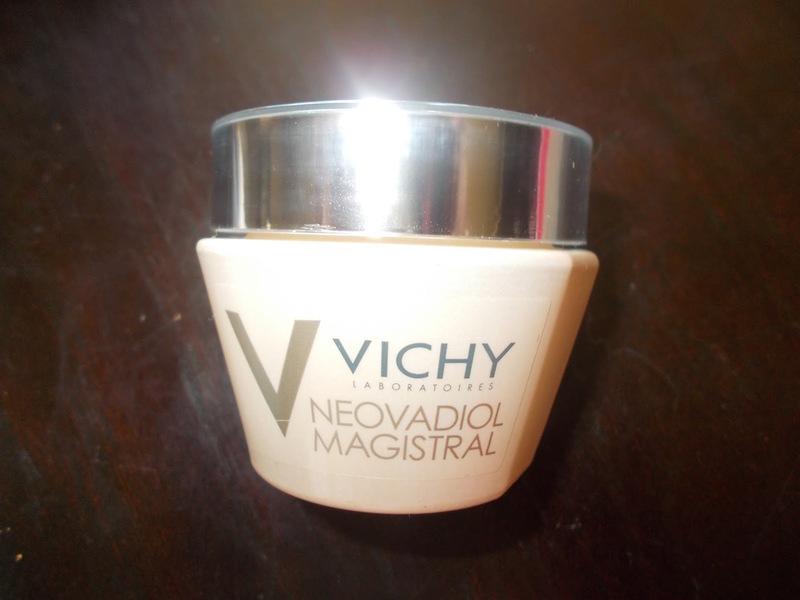 I highly endorse this @Vichy( Neovadiol Magistral Densifying Nourishing Balm) NEW & AMAZING truly #VichyWorksForMe.